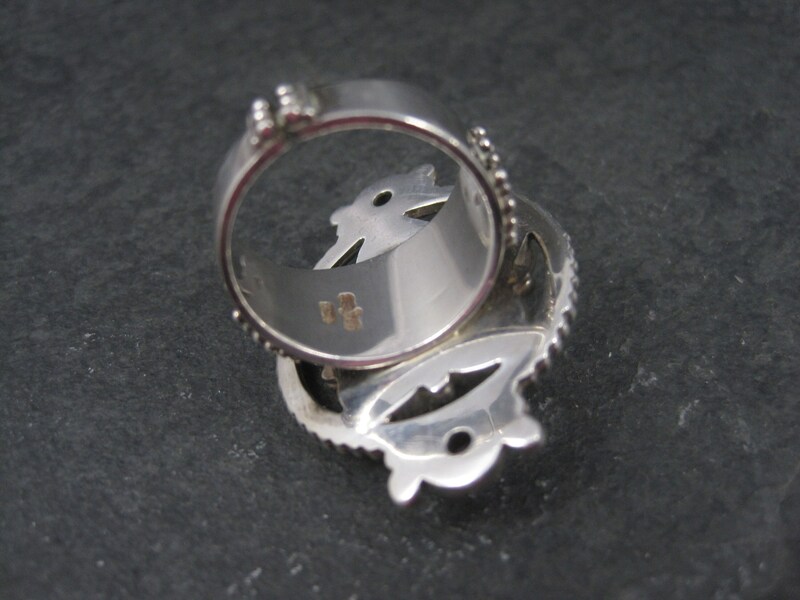 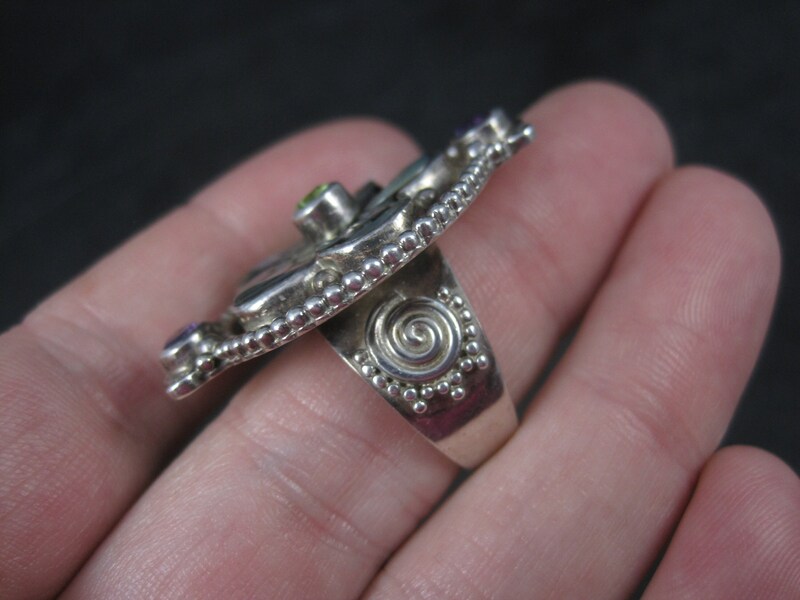 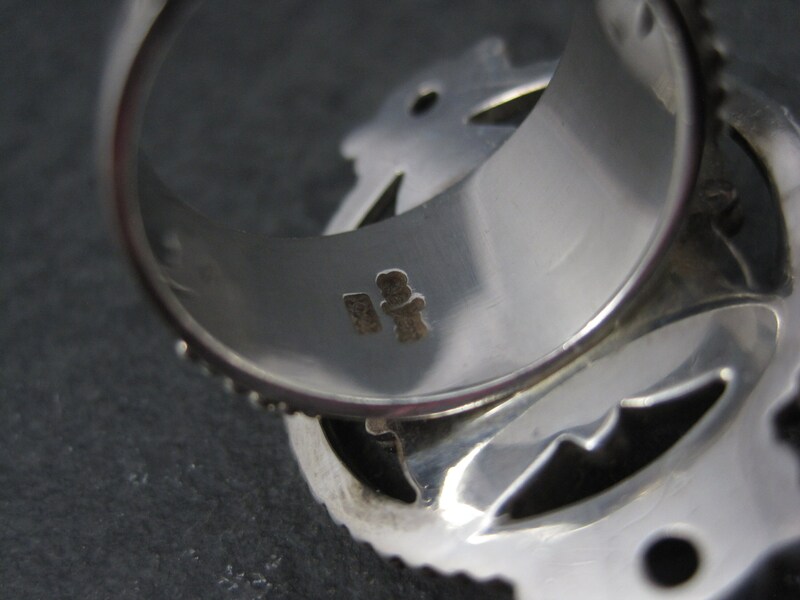 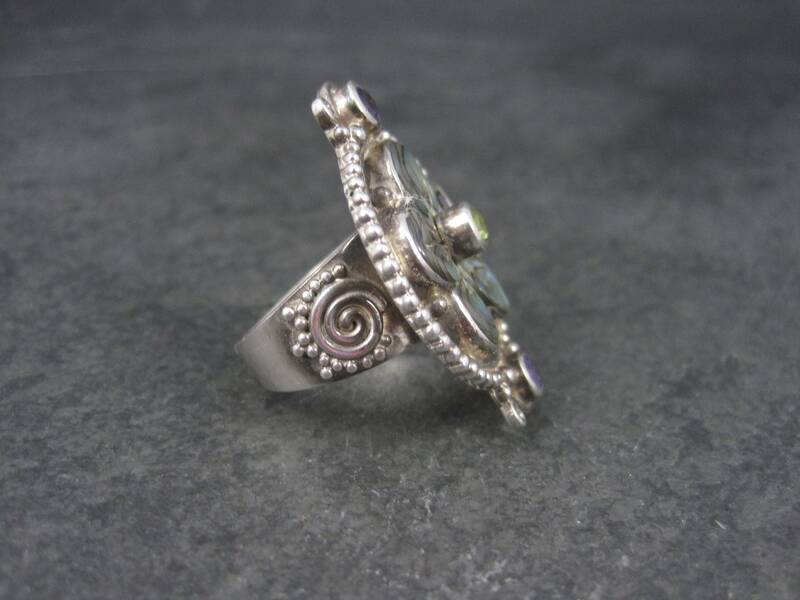 This gorgeous Sajen ring is sterling silver. 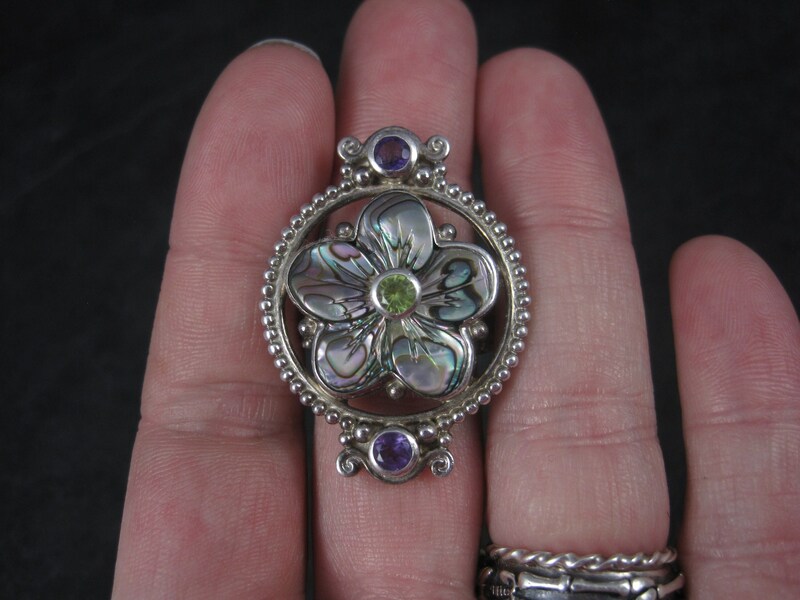 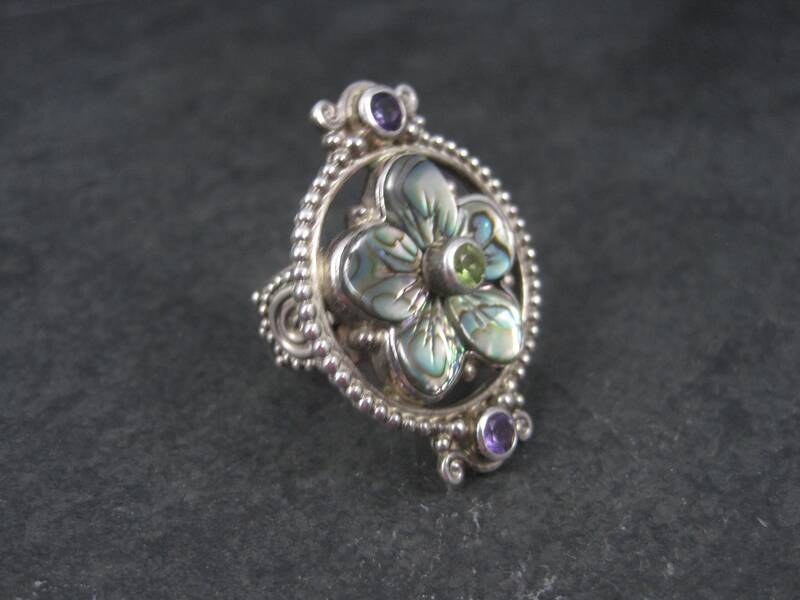 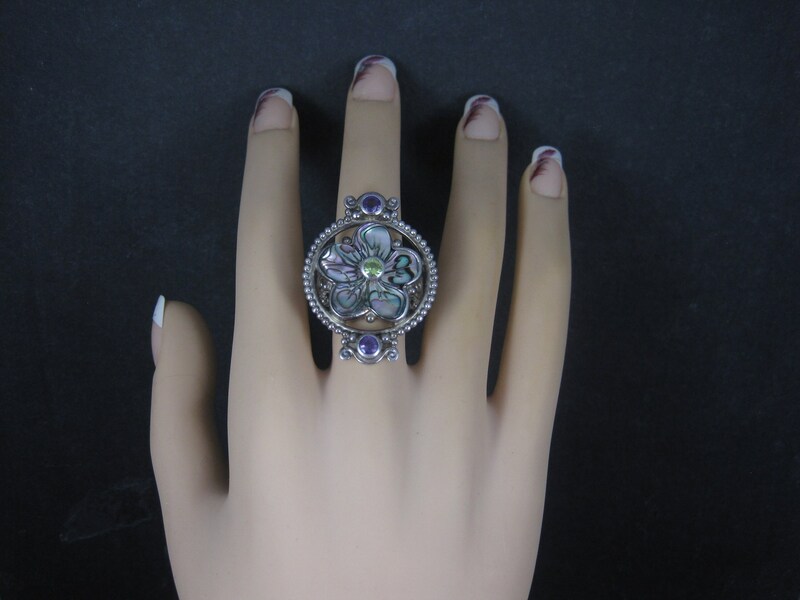 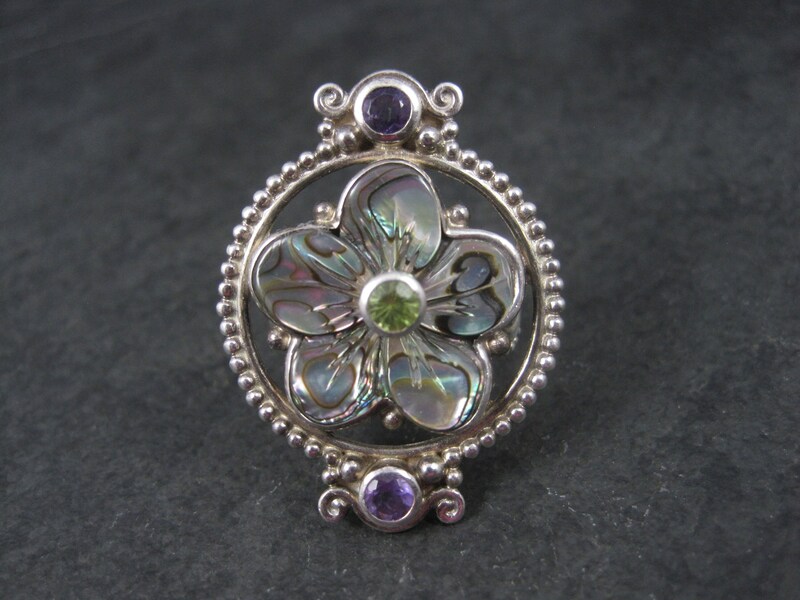 It features an abalone flower, 2 round 4mm amethysts and a single 4mm round peridot. 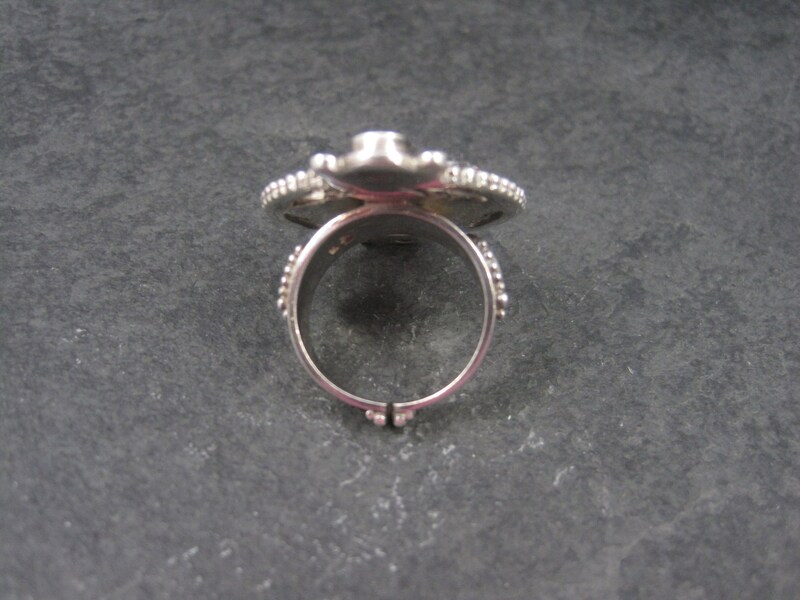 The face of this ring measures 1 1/16 east to west and 1 7/16 north to south.